The ICC is pleased to announce a special presentation to be held on Thursday, March 24th, at 7 p.m. Cynthia Curran PhD, will present “Giuseppe Garibaldi and the Formation of Italian Identity”. 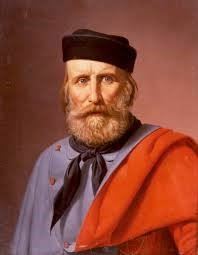 Garibaldi was a general, politician and nationalist who played a large role in the history of Italy. Italian patriot and soldier of the Risorgimento, Garibaldi was a republican who, through his conquest of Sicily and Naples with his guerrilla Redshirts, contributed to the achievement of italian unification under the royal House of Savoy. In this interactive session, we will look at various images of Garibaldi from the 1850s through 1944, and will trace the use of visual representations of this Italian revolutionary in various attempts to control Italian identity. Register here, and contact Peggy at info@theitalianculturalcenter.org with questions. Cynthia Curran PhD was a professor of European history at the College of St. Benedict/St John's University for over 20 years until her recent retirement. She is the recipient of many teaching awards and is eager to extend the discussion of European historical topics outside of the university classroom. Dr. Curran has taught several courses in the formation of national identities in modern European history. All cancellations must be received at least 72 hours in advance to receive a refund less an administrative fee.